In 2012. three Lodge owners, Clare de Carteret-Bisson & Peter Adams (co-owners of The Resurgence luxury eco-lodge) and Meg Pawson-Taylor (owner of Riverrun Lodge) saw a need for a new kind of collection for discerning travellers who are looking for a very individual style of luxury. Six years later, after Meg had sold her Lodge and moved into raising Merino Sheep on her 500 acre Wanaka property, she sold her share in Green Journeys to Peter Adams who now runs Green Journeys with Clare. Our collection represents quintessential New Zealand; working farms, wild west coast beaches, pristine lakes, alpine valleys, bush-clad hillsides, gorgeous beaches and rivers and boutique city accommodation. More than half your holiday is spent at your accommodation, and part of the enjoyment of your trip will be in the different architectural designs and individual styles you encounter on your travels. All our properties are personally owned and hosted and your hosts are expert at sharing their local knowledge and organising the best local activities, sights, tastes and guides for you. We work closely with the Travel Trade to ensure Boutique New Zealand products are visible to retail travel agents through to inbound tour operators so that FIT couples visiting New Zealand have the best choice of authentic experiences available. Before settling in New Zealand in 1993, I lived and worked in the UK, Asia, Australia and France. Always a keen traveller, I have visited over 50 countries. I had an international career in IT and Project Management, mostly in the airline business working on crew rosters and aircraft scheduling. For the last 15 years Peter and I have worked on creating a unique accommodation at The Resurgence which gives visitors a true taste of the New Zealand bush and native birds, access to great activities in the Abel Tasman and Kahurangi National Parks plus Golden Bay and Nelson. We combine our passion for food, conservation and the outdoors and want to share that with our guests. I set up Green Journeys because I wanted guests to have the better itineraries and to do that, our sector needed to help the Travel Trade find out about the best products. In my leisure time I am heavily involved in conservation work with Friends of Flora community conservation group and I also love hiking, cycling and kayaking. I have a solid knowledge of the Travel Trade and of the products in the Green Journeys Collection and will work to make Green Journeys an effective marketing group for its members and Trade. 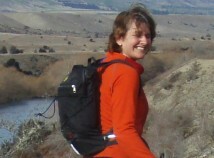 A typical New Zealander, Meg was well travelled, moving from Dunedin to Wellington, back-packing through China and Russia, working in London and Australia, before settling back in the South Island and Wanaka to establish Riverrun. For almost 20 years, Riverrun was both a small luxury lodge and a 500 acre merino sheep farm. Meg now runs the merino farm and the lodge has passed into private hands. With a background in retail, publishing and the outdoors, she also loved the working life of the farm as well as the space and recreational opportunities it offers. When she met Clare and Peter from The Resurgence tjey immediately saw the benefits in combining our extensive knowledge of New Zealand tourism. Green Journeys is our selection of boutique accommodations and exceptional activity providers who we know will give you not just the best professional service but also wonderful experiences and a real insight into New Zealand. Our philosophy is slow travel, taking time to explore and discover each region, to relax and enjoy rather than trying to "tick all the boxes." We encourage you to stay longer in places, extend on the Journeys we have suggested and feel free to create an itinerary that is everything you want it to be. A Journey might be just one stay in one very special place, an supremely active outdoors adventure or a meandering excursion through some of our wildlife havens in the far south of the country.